Frexit - What Does It Mean? What does the term "Frexit" mean? What is the definition of the term "Frexit"? 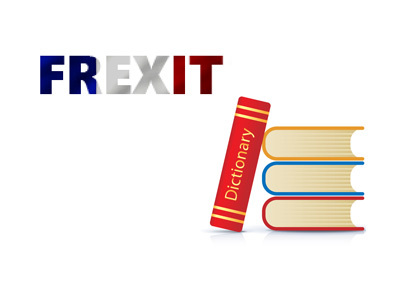 The term "Frexit" refers to the possibility of France leaving the European Union. The world first had "Grexit", as Greece came very close to leaving the European Union due to severe fiscal issues. Next up - "Brexit", which actually resulted in the United Kingdom voting to leave the European Union. The United Kingdom's vote to leave the EU will likely result in other countries holding referendums to decide whether or not to leave the European Union - one of these countries is likely to be France, which is how the "Frexit" term was coined. In reality, all current European Union countries are in danger of leaving the EU thanks to the United Kingdom's vote, as the UK has one of the world's largest economies and their exit will result in the severe weakening of the multi-country union.